Whether you are wanting to embark on a small renovation or have an entire custom home built, you are going to need a builder or two. Finding the right builder is probably the most important decision for whatever your project is, so how do you make sure you pick the right one? Here are 6 steps to help you find the right builder for your project and for you! The beginning of any successful building project involves having all the details laid out. From professional drawings for the project to max budget and timelines, having the framework designed and your needs determined ensures that, when it comes time to talk to builders, they have everything they need to make honest bids and provide realistic results. There are architecture and design firms that can help with this, depending on the level of control and involvement you want. 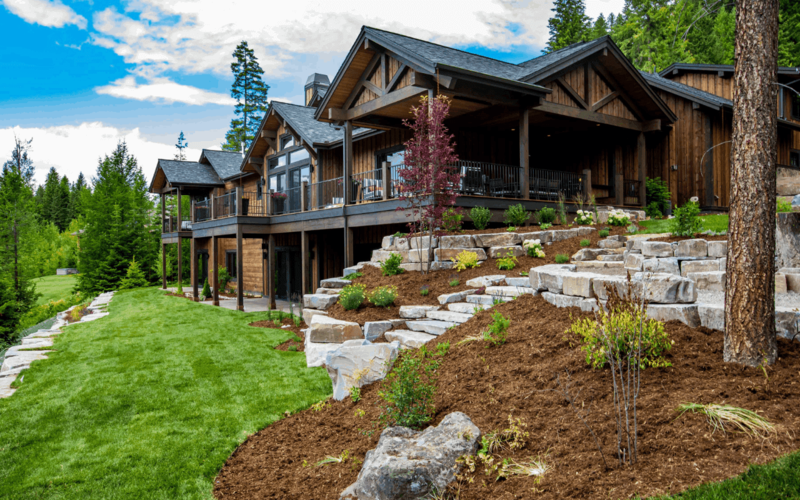 Local builders offer a number of benefits, but most important for choosing the right builder for you is the means to see the quality of their work. Local builders means local proof of work, and when you can actually see their work first-hand, you know the quality and luxury of their final product. On top of that, local builders have networks of local suppliers and subcontractors that help your project stay on track, on budget, and on timeline. Transparency is crucial. If the builder does not have enough information, they are going to either walk away before they even bid, or just tell you what you want to hear, and what actually happens may be very different. If you, or whoever is representing you, does not ask questions, you cannot know how the builder works, let alone how to maximize the builder’s expertise while keeping control of the project. So create a comprehensive list of questions, narrow your list of builders to 3-4 options, and ask them all the questions. For builders, each project adds to their portfolio and helps them win their next big job. Also, no matter how many questions you ask, you never know the reality of what a builder can offer until you have a bid in your hands. Take that same list of builders you asked all the questions, and have them all submit a bid too. Then compare the bids, and use the results in combination with the answers to your questions to determine the strongest builder for your project. Most “finding the right builder” lists stop after step 4, but there is something simple that is being overlooked: the actual project. Everything so far was research to narrow the list, but now is the time to talk specifics. Tell your strongest option you’re interested, but need detail on what will actually happen. Ask about communication methods, warranty and service, references from previous homeowners, and talk to their employees. If you are happy with what they say, you found your builder. If not, go to the next option on your list and do it again. You never know everything until you are in the actual process of building. Sometimes the right builder ends up not being the right builder half-way through, or something major happens and what they started needs to be finished by someone else. Keep an eye on you project, and if the worst case scenarios come about, you need to have your next best builder ready to approach. A quality end result for your project is all that matters, even if that means making changes midway.